car Damage from the flood? We can help! If your vehicle was affected by the recent floods, we can help. We offer free estimates and 0% interest financing. Call or schedule an appointment TODAY! Floods can cause serious damage to cars. 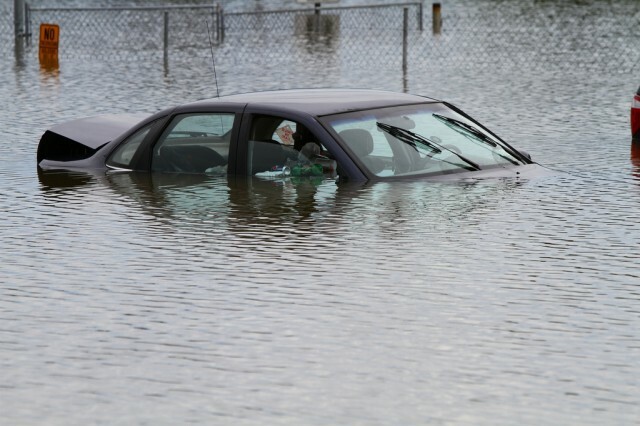 Once your car has been affected by a flood, it is important to get it checked out immediately before operating. Operating your vehicle without having it checked out first could cause serious damage. Water in transmission or other mechanical parts of your vehicle could cause your vehicle to fault and the repairs could become extensive when these issues are not fixed immediately. Here at Scott's Auto Repair, we are prepared to inspect your flooded vehicle and determine if there may be damage or a fluid flush needed.